The inaugural March of Dimes Inland Empire Signature Chefs Auction will be celebrated on Wednesday, Nov. 7, at the Vellano Country Club at Chino Hills. The much-anticipated philanthropic dining event will raise critical funds to benefit March of Dimes’ mission to lead the fight for the health of all moms and babies. 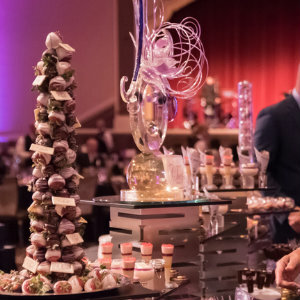 The evening begins at 6 p.m. with an extraordinary tasting of Inland Empire’s most desirable cuisine, prepared and served by culinary masters from top local establishments, followed by a seated dessert program and a rousing live auction, offering an opportunity to bid on insider packages and unique experiences. Sir Chef Bruno Serato, one of the regions most renowned chefs and humanitarians, is the owner and chef of Anaheim White House and Caterina’s Club and the Lead Chef for the event. Serato is bringing his passion for food and helping families and children to the inaugural March of Dimes Inland Empire Signature Chefs Auction. “The carefully curated menu is created for this evening only for this exclusive audience to taste the diverse culinary talent in Inland Empire while celebrating and supporting this great cause,” says Serato. Joining Chef Serato at the event will be: Chef Henry Gonzalez from Spaggi’s, Chef Jose Ruiz of Tutti Mangia Italian Grill, Chef George Torres of Vellano Country Club and many more. Local top sponsors supporting March of Dimes include Presenting Sponsor: KPC Healthcare, Inc. and Silver Sponsor: Wedgwood Weddings. Table of 10 for the event are $3,500. For more information, including sponsorship opportunities, visit signaturechefs.org/inlandempire or contact Ricki Hill at rhill@marchofdimes.org . Vellano Country Club is at 2441 Vellano Club Drive in Chino Hills.